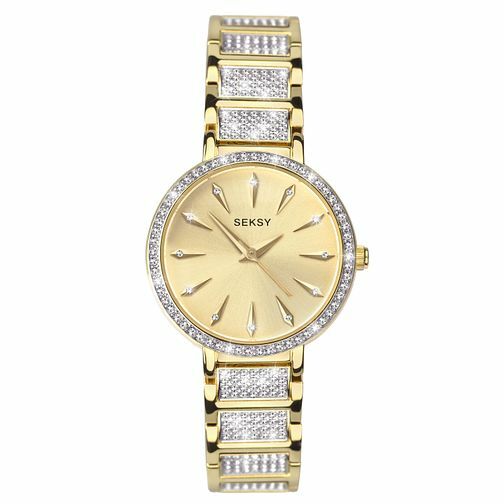 Wear a distinctive timepiece on your wrist with this elegant Seksy bracelet watch. It features a two-tone gold plated and silver coloured case and bracelet beautifully adorned with delicate Swarovski® crystals. The watch is finished with a feminine champagne stone set sunray dial. This sparkling timepiece is sure to make you stand out from the crowd.